Thousands of Americans exposed to asbestos in years past may have developed the devastating cancer mesothelioma as a result. More than 3,000 people are diagnosed with mesothelioma every year in the United States alone. Studies show that between 1940 and 1978, approximately 11 million Americans were exposed to asbestos. As a slow-growing cancer, mesothelioma develops over a period of twenty to fifty years, meaning that many of those 11 million are just now experiencing the symptoms of mesothelioma. If you or a loved one has been diagnosed with mesothelioma, you may be entitled to financial compensation. Don’t hesitate to contact the experienced product liability lawyer at Craig Swapp & Associates by calling 1-800-404-9000 or by filling out our online form. What Is Asbestos, and How Does It Cause Mesothelioma? Asbestos is a group of minerals made of thin heat-resistant fibers. In the past, it was commonly used for insulation and was widely used in the construction, automotive, military, shipyard, and other industries before it was discovered to be toxic to humans. Asbestos fibers are hook-shaped and when breathed in can become permanently lodged in the lungs or other organs of the victim. Once inside, the dangerous fibers can cause cancerous cell division in the lining of the lungs and abdomen and—more rarely—the lining of the heart. Asbestos is nearly the only cause of mesothelioma. Over 85 percent of cases can be linked directly to asbestos exposure. The evidence for the link between asbestos and mesothelioma was established as early as 1943; however, organizations did not start phasing out its use in the United States until the 1970s. Those at particular risk for mesothelioma include shipyard workers, naval personnel, construction and demolition workers, and individuals working in or living near areas where asbestos mining and construction occurred. Don’t delay. If you or a family member has been diagnosed with mesothelioma and have worked in certain industries, you deserve financial compensation. 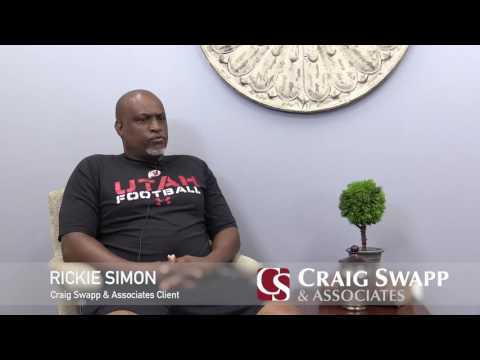 The experienced mesothelioma settlement attorneys at Craig Swapp & Associates can help you. Reach out to us by filling out our online form below or by calling us at 1-800-404-9000. What Are Victims of Mesothelioma Caused by Asbestos Entitled To? It’s time to get the financial compensation you deserve. Make one call to the experienced asbestos mesothelioma attorneys at Craig Swapp & Associates at 1-800-404-9000 or tell us your story by filling out our online form below.